Pheromone Blue land at Sincopat heading towards merging influences with a new single titled She Moves at Night. AFFKT, beGun, Dimitri Veimar and Pheromone Blue themselves with their aka PHB complete the EP with remixes that make this release a journey for the senses. In "She Moves at Night", Pheromone Blue combine electronic textures, acoustic elements and attractive melodies, finding a common meeting point with their own identity. All this framed within a pop perspective and sustained by solid rhythms with tints of IDM. The first to contribute his vision is AFFKT, with a remix that emphasizes the hints of indie of the imposing bass, the guitars and the redistribution of the elements alongside an addictive base of progressive house. He plays with vocals and arrangements, achieving a strong and elegant result. beGun tells us his own story, transporting the original to a dreamlike terrain, enhancing the main synthesizer's protagonism and deepening the atmospheres until reaching points of true climax. True to his style, Dimitri Veimar plays with percussion and vocals making the track the perfect tool to hypnotize the dance floor. A hint of acid, evolution and a lot of strength in the review of the Russian. Pheromone Blue are reinterpreted with their new aka PHB, showing there more technoid side. They increase bpms considerably and limit the use of vocals to focus on the raw sounds. 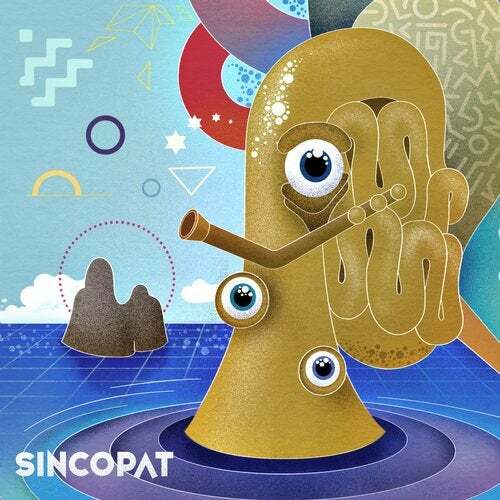 In conclusion, the variety and musical enrichment of this new release on Sincopat manages to bring out the best of each artist, opening the stylistic range and reaching all kinds of music lovers.